Speak clear English, not pigeon English! We use laymen's terms, not 3 letter gobbledygook! We understand the baffling terminology and translate it for your benefit - we want you to be clear - not confused! Honest, value for money, reasonable prices vastly cheaper than London prices. 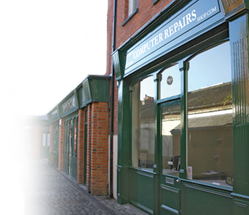 Brentwood Computer Repair can diagnose and repair many common computer related issues remotely, should it be the case whereby we cannot resolve the issue via a remote connection then we can dispatch an engineer to your premises.